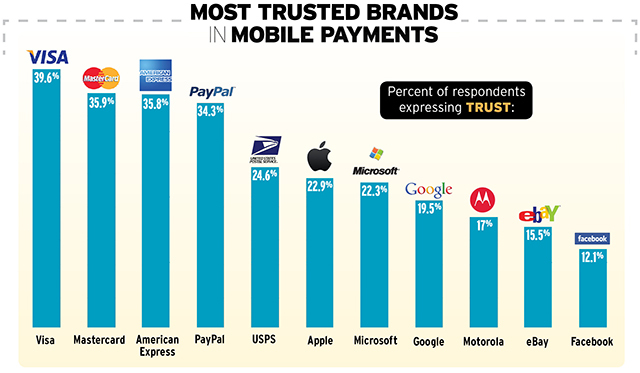 According to a recent post at AdAge on a study by Ogilvy & Mather, it seems the verdict is still out on new mobile payments technology and consumers trust familiar credit card companies more but how soon will that change? The rate at which new technology is becoming mainstream is increasingly rapidly. Read the full post here and study here.